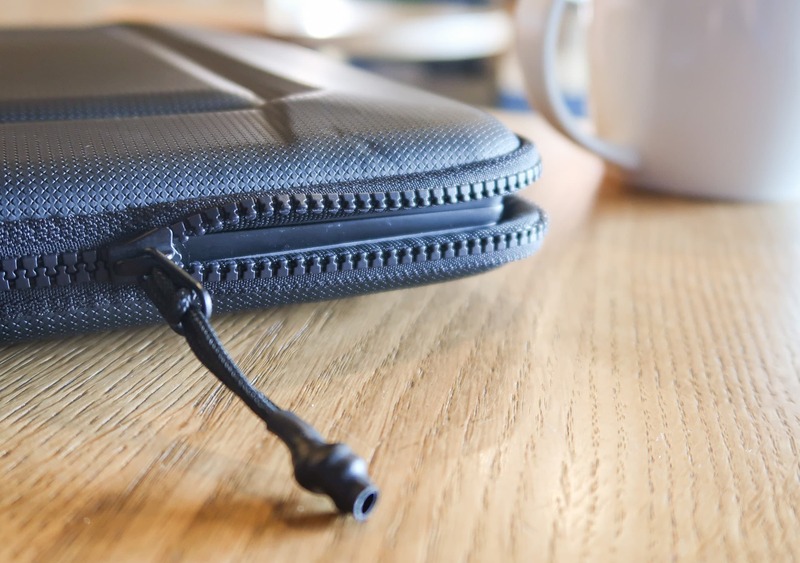 When you’re traveling around the world as a digital nomad, your laptop is probably the most expensive thing you have with you—so it makes sense to pick up a sleeve that will keep it well protected. Could you imagine your laptop breaking three months into a round-the-world trip? All of a sudden your source of income—or source of entertainment on a ten-hour bus ride—has gone down the drain. Not cool. The bottom line is, an expensive laptop (or any laptop, really) needs excellent protection. 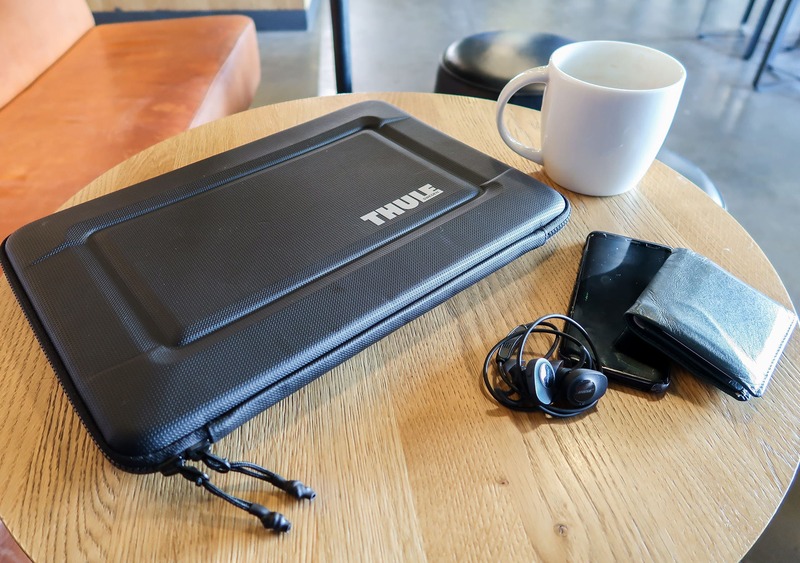 The Thule Gauntlet 3.0 is a sleek, yet rugged laptop sleeve designed to keep your laptop safe no matter what situation you’re in. We’ve been testing the 15” model, but it’s available in a 13” model too. And even though they’re specifically designed for Apple MacBook Pro laptops, our Dell XPS 15 fits in perfectly—just make sure to check the dimensions of your laptop before purchasing. 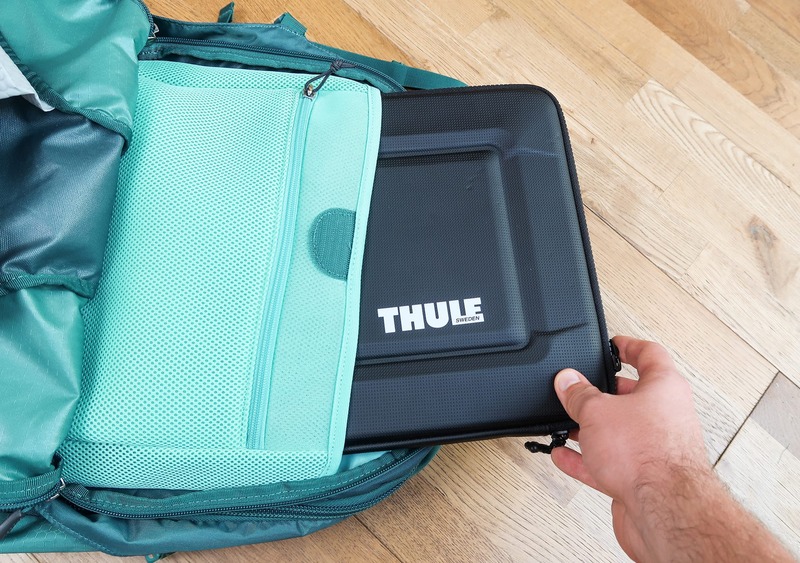 Thule is a trusted Swedish brand that makes some great travel gear, and oddly enough, quite a few automotive accessories. We’ve reviewed their Subterra 34L backpack, which rated highly, but will the Gauntlet 3.0 do as well? And will it actually protect your laptop? Let’s find out. We’re digging the overall look of the Thule Gauntlet 3.0, and its all-black streamlined design should please most people. With its rugged looking exterior, it certainly looks like it offers a load of protection—but time will tell. The outer shell of the Gauntlet 3.0 is Polyurethane—a material that has always tested well whenever we’ve come across it. It’s a hard material, but not solid, allowing a small amount of flexibility. It’s certainly a lot tougher than any soft neoprene-like sleeves available on the market. We can’t explain it, but sliding your laptop in here just feels nice. Kind of like putting your hand into an oven mitt—it just works really well, and you get the feeling your laptop is going to be very secure in there (because it is). 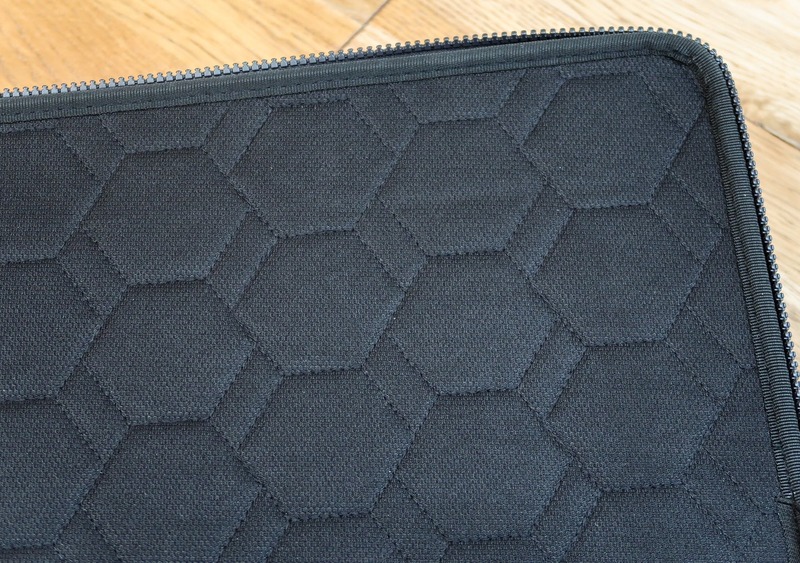 There is a foam padding that covers the inside of the sleeve. It’s fairly dense and helps with extra cushioning, while also protecting your laptop from scratches. 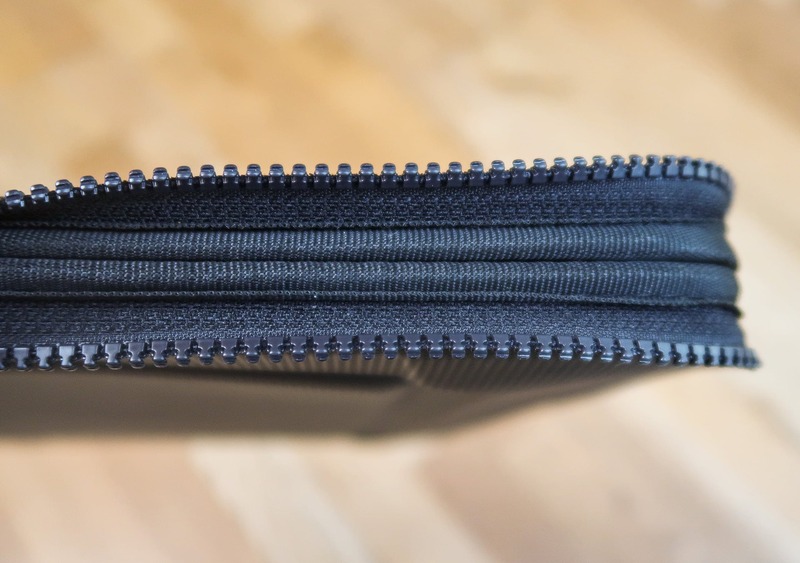 There is a chunky YKK Vislon #5 zipper around the entire clamshell design. YKK is our preferred choice of zip—from our testing, they’re the most reliable—and the large-toothed Vislon here adds an additional layer of protection around the edges. The Thule Gauntlet 3.0 is a simple product but it does have a few tricks up its sleeve, pun intended. First of all, this sleeve features additional protection around the edges and corners—which is very important as these are the places your laptop is most susceptible to damage. 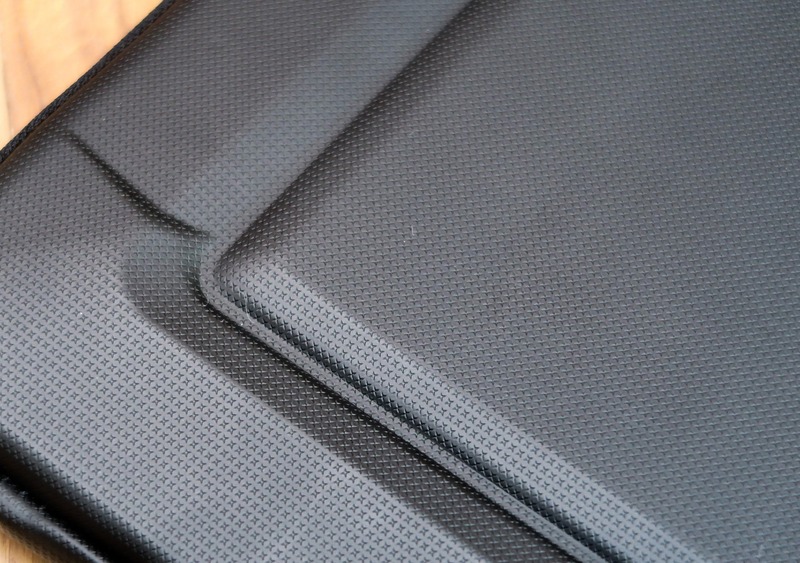 By folding the zippers back, you can see that the polyurethane shell covers 100% of the laptop. Next up, there are two elastic straps on either side that enable you to use your laptop while it sits inside the sleeve—the elastic straps keep the back of the sleeve from falling down. 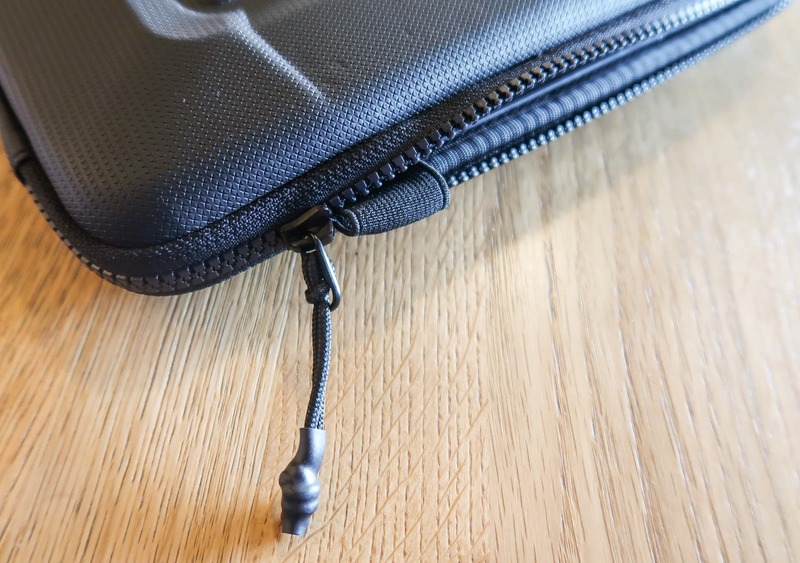 Simply unzip the clamshell in its entirety and lift your laptop lid up, nice and quick. While we do like this feature for quick and easy access, it does have some flaws. The straps can stick out when you close the sleeve, forcing you to tuck them in before you can zip up the clamshell. This is incredibly frustrating, but we have found that it’s happening less frequently after a month of use—perhaps the elastic just needed softening and breaking in. The Thule Gauntlet 3.0 does offer more substantial protection than any soft sleeve would, but because of this, there are inevitable trade-offs in weight and size. At one pound this thing is relatively heavy, and we found that because of its added bulk it won’t fit into the more stingy backpack laptop compartments—though most were fine. Here at Pack Hacker, we’re happy with this compromise for additional protection, whether you will be too is up to your use case. We’ve been testing the Thule Gauntlet 3.0 for a month now, and during that time it’s seen use on a ten-day trip across Portugal and daily trips to the coffee house. During that time it’s also been a permanent home for our laptop—whenever we’re not using it, it’s safely tucked away in this sleeve. 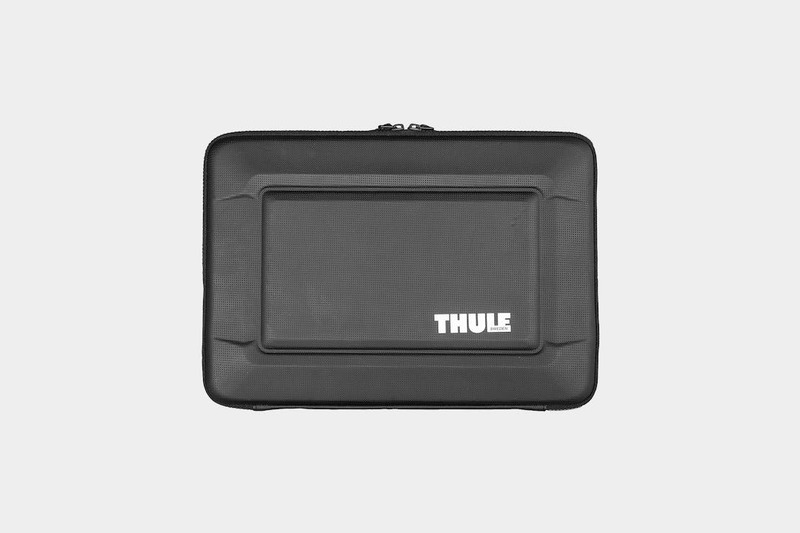 Getting straight to the point, the Thule Gauntlet 3.0 offers some of the best protection for your laptop that we’ve come across. It will protect your laptop from everyday knocks or small drops, and we feel comfortable tossing this thing into a bag, knowing our laptop will be safe and sound. If you’re anything like us, you’ll be grateful for that peace of mind when you’re on the road. In regards to durability, this thing is built to last. We’re confident that it will still be going strong after years of use—as always, make sure to check out our usage timeline below to see how it is faring. From first glance, our Thule Gauntlet 3.0 still looks brand new. 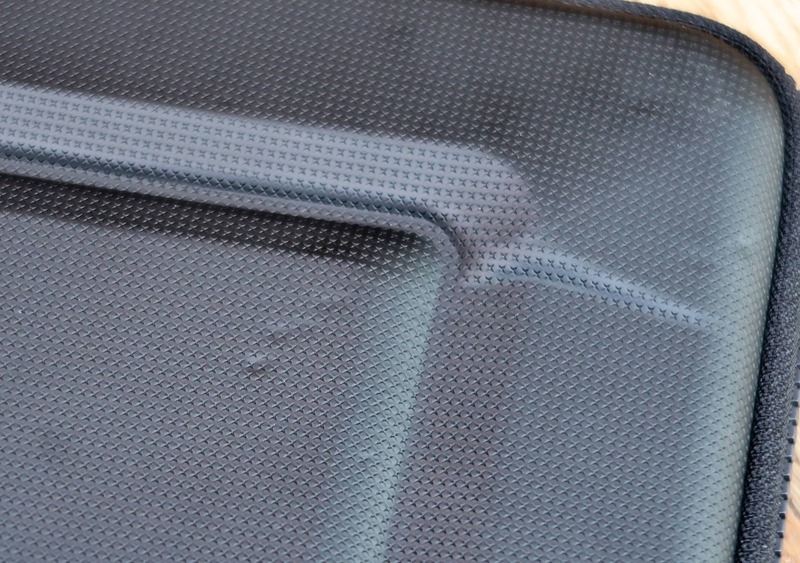 However, on closer inspection, there are some small dent marks in the Polyurethane on the outside. It looks to be nothing more than a bit of wear and tear—we will keep an eye on it—but it is worrying that they’ve occurred after only a month of testing. Loved using this sleeve on a ten day trip to Portugal. Unfortunately, we have noticed some small dents in the Polyurethane. One of the most protective laptop sleeves available on the market. You can use your laptop with the sleeve still on. Elastic straps can stick out of the side when you’re trying to zip it up. Poor craftsmanship shown with the wonky Thule logo. Adds extra bulk and weight to your laptop. 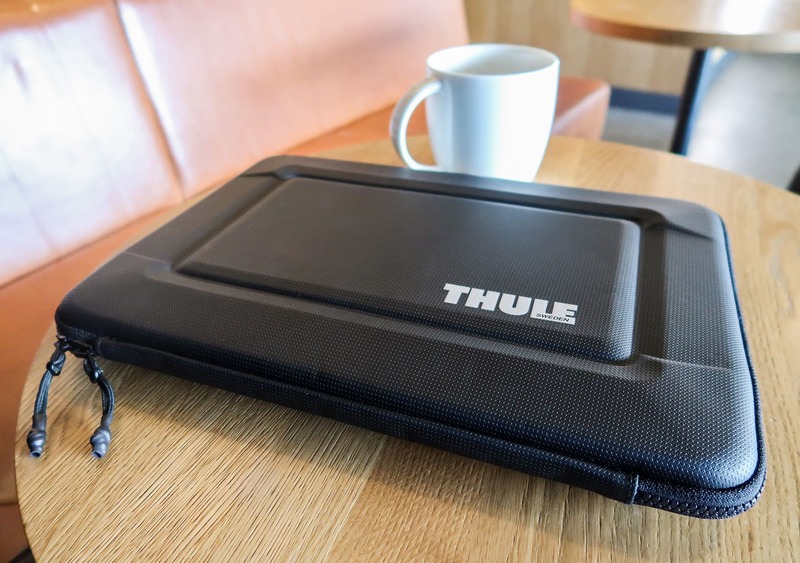 The Thule Gauntlet 3.0 does a superb job at protecting your laptop. 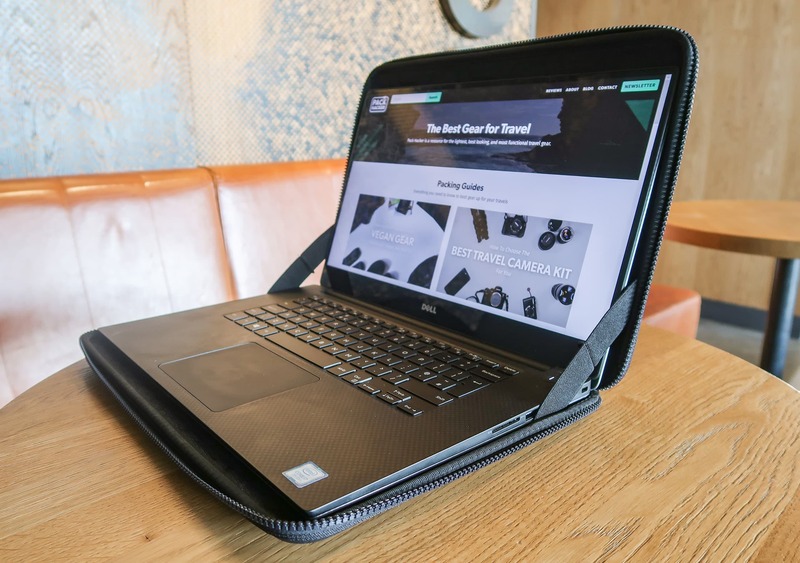 Other than a slightly wonky logo and some very minor dents in the polyurethane, we’ve been thoroughly impressed with this laptop sleeve—and we think you should be too. Nathan has been to 39 countries and counting with a 40L backpack or less. 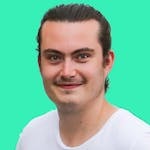 Before venturing the world full-time, he worked with a marketing agency where he developed a wide set of video skills. You won’t find him too far away from his camera, laptop, and a vanilla ice cream cone.